How to view photos in "my world"
How to hide pictures in the "Classmates"
How to change photo in my world? Advice 1: How to view photos in "my world"
Social network "My World" among other "bells and whistles" enables users to create personal photo albums. These albums can be designed for public viewing, and for viewing a limited number of users. Log in to social networks "My World". To do this you need to visit the page: my.mail.ru and fill out the required fields to login. If you do not have an account on this project, you need to register. This can be done in the following way. 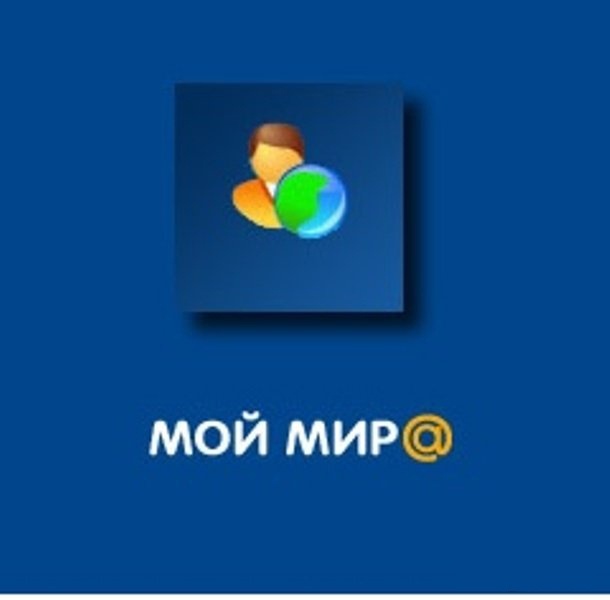 Open the home page for the Mile.<url> by typing in the browser address bar url: mail.ru. To the left you will see a form for user login. On a blue field, the form will include a link to "Check mail". Clicking on this link you will be redirected to the registration page in the mail service. Here you need to enter in the appropriate fields certain information. At the bottom of the page you will see an empty box in front of which will be the inscription "to Create a personal page at My World @ Mail.ru". Put a tick near this item and click "Register". You will create a new Inbox, as well as a personal page in social network "My World", to go to which you may be on the appropriate link in the user account. To view photos of users on the project, you simply open the personal page of a person of your interest. Next to his avatar you will see a link "Photos" or "user Albums". By clicking on this link, you switch to viewing photos uploaded by the user. Note that for some accounts you have to make friends with this person. Only then you will be able to watch his pictures. Advice 2 : How to change photo in my world? If you want to find friends or classmates, then your path lies in a social network, for example, in My world. There you can upload photos and post information about yourself. The resource administration is trying to make the interface easy and intuitive, but sometimes users still have difficulty. The most common problem faced by beginners, is to replace a personal photo. Go to your profile. In the left menu, select "Photo". Opens a page that shows the latest uploaded photos and all the photo albums you've ever created. Each photo album is given an explanation of the numbers placed in this photo and the number of comments to them. Upload photos, use the "Add photo". The social network My world there is the ability to add pictures from the Internet or from a web camera and a personal photo archive stored on the hard drive of your computer. In the corresponding field, select the name of the photo album in which you upload photos. You can add one or several photos at once using the bulk upload. Remember that the site rules are not allowed photos with pornographic content and image advertising. Open the photo album to which you uploaded the photos. Under one picture it says "Main photo". This is the picture that other users see on your home page. Under other images is the inscription "Make primary". Click it and the selected photo will be displayed on your home page. You can replace the main photo in a different way. To do this, use the "set primary photo" located to the right of your current photos. Click "Browse" and select a photo on your computer. Tick the "make primary" and continue downloading by pressing "add". New main photo will appear immediately after the download is completed. You have the ability to customize the main photo, cutting it directly on the site. Also if you want you can use the paid services of the social network and to decorate photo graphic effects. In My World, photographs are widely used. Here you can leave comments to the pictures, edit photo, put the scores in the scoring system. But it happens that one day all this boring, then the photos have to be removed. You can just delete your photos - just a few or one. You can access via the profile page (a few photos will show next to the main profile photo). In the upper right corner you will find a group of characters with which you can perform various actions: "Add photo," "Open photo properties" and finally "Uninstall". You need to click on the red x responsible for removal, and you will automatically be transferred to the page to view the album, which was remote photo. You can delete a photo without opening it. Just open the album in which it is located. The interface of the social network allows you to delete photos "on the spot". Just click on the red x that is displayed together with other icons to the right of the image. However, you are warned that if you remove it, it will no longer appear in other places where you might want to post it. This protects you from accidental deletes. To remove photos another way. Open the album where your victim and select "Group edit". There you can change the image name, label, choose a theme, and most importantly, delete the photo (you just need to click on the already familiar red cross). It is possible that you do not need to delete a photo, you just want to remove it from the home page. Photos and so will be visible in a scaled-down, but at least to see them will not be so easy. It is enough to visit the album, or change photo settings. In the album select as in the preceding paragraph, "bulk edit" and put "ava" any other photo or don't put any. The photo on the personal page in "My world" is the original card of the user, with the help of which you can find it on the website. That is why the avatar is given a special assignment. Adjust the image in "My world" is a snap. To change the main photo in "My world", you need to log in to your account. This can be done by typing on the main page of the site "Mail.ru" the username and password used to login, or click located on the top menu bar the link "My world". Also in your mailbox "Mail.ru" to select in the settings select "Personal data" and click on the caption under the picture "Add/change photo". On the right side of head picture, click on "Upload a photo". Then on the new screen select the parameters of your image and how it was loaded. It can be fast, normal, from the Internet or from a webcam. To simultaneously upload multiple photos, use the quick download. Specify the album "My world"from which you want to add a photo. Or, click browse, select the location of your desired photo file. You can also use the "Set primary photo" link that is located in the upper right corner of the page. Once on the next page, specify where you want to add an image. If the photo is on your computer, click "Browse" and select the folder where you saved the image. Click on the desired photo and add it to the project. In "My world" as the main you can place a picture from the Internet. To do this, select the box that says "URL" and enter the page address with your desired image. To add a photo taken using the webcam, click the corresponding link on the download page. Set up the camera and take the picture. Similar photo you can add another project to your social network. "My world" supports communication with "Classmates". So, if you want to post photos in two networks, simply put a tick in the line "copy to "Classmates". Then click "Download." Customize the look of the thumbnail and save the changes. The images on the website, you can add in the following formats: JPEG (JPG), BMP, GIF (static), PNG, and TIFF.